Ok, but this should have been catched by the watchdog, or not? ❗ This only affects the initialization within PE_low_level_init(). 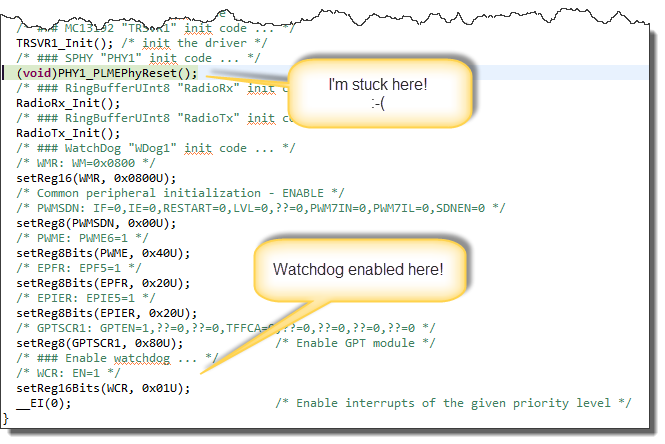 To enable the watchdog right after reset, I would need to set this up in the CPU component. 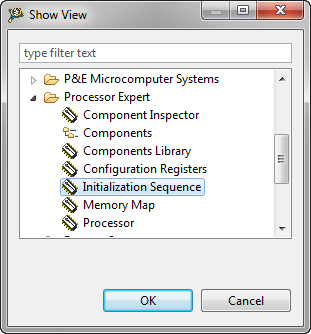 The Initialization Sequence view of Processor Expert gives me a way to change the initialization order of my components. 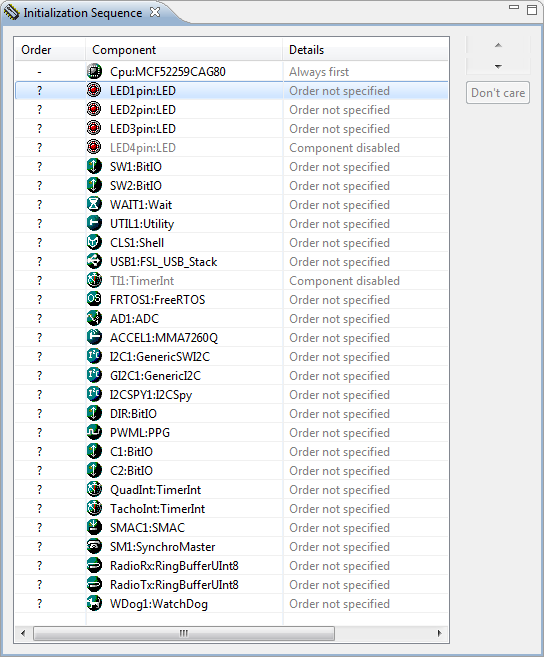 Of course certain things I cannot affect, or if there is an explicit dependency between components. But with that view I have an easy way to control the sequencing. 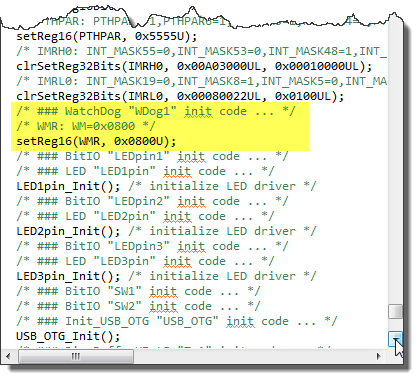 This entry was posted in CodeWarrior, Debugging, Eclipse, Embedded, Processor Expert, Tips & Tricks and tagged CodeWarrior, Debugging, Embedded Component, Processor Expert, software, technology, Tips&Tricks by Erich Styger. Bookmark the permalink. I need to block the content of generated code by Processor Expert to avoid the automatic regeneration code when I compile the project. 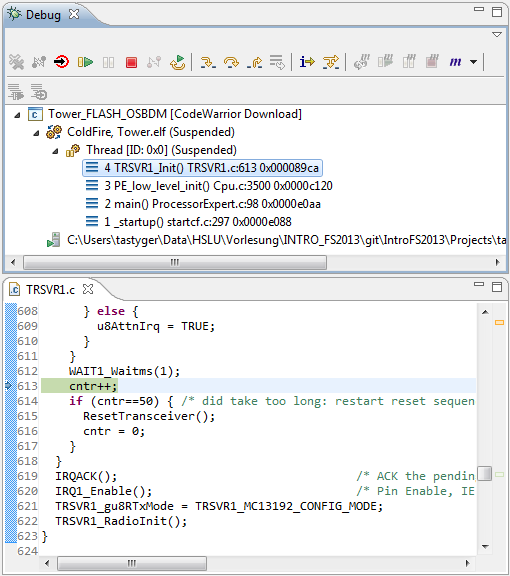 Is it possible to have generated code files with automatic regeneration code disabled and other generated code files with regeneration code enabled? Thank you very much for your help Erich! yes, of course this is possible :-).